You Will find in this topic the answers of Word Jungle Level 501 to 600, the game is developed by megasoft78 and its aim is to fulfill the board with words available at the tray. We have solved here another one hundred levels and provided too many bonus words that will help you in your quest ! 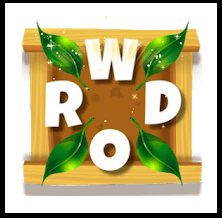 After finishing these level, you can continue playing without stress by visiting this topic :Answers of Word Jungle Level 601 to 700.